A regular at Cocktail d’Amore, Bell Towers is a Berlin-based Australian producer best known for his long-lasting collaboration with Munich’s Public Possession. Next to that, a number of projects under different monikers — namely Rim Boys, an evolving b2b with András. 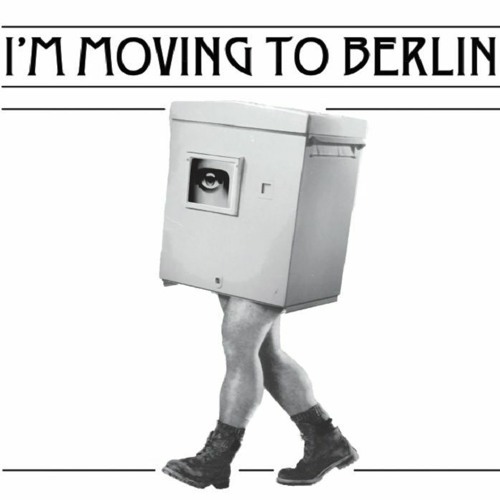 “I'm Moving To Berlin” is his first EP for Cocktail d’Amore Music. It's a sparkling celebration of the party; its influence on the city and on the producer’s life tangents. “It’s too late now / There’s no turning back / I gave it all for Cocktail d’Amor…” Rohan confesses, while a hybrid EBM-synth pop sonic adventure unfolds. What happens next is presented in “Sexual Intruder Alert” and “Approach and Identify”. The first comes through as a quirky multidimensional future-disco tale, while the second plunges deep into the cosmic hole with punchy percussions and an euphoric groove pattern. wahoo.. pano weapon for sure! my feet just started stepping on the floor so mental!